On January 8, 2008 the Law of the Nakhchivan Autonomous Republic on “the Bar Association of Nakhchivan Autonomous Republic" was adopted. As per the Article 2.1 of this Law and the Article 9.6 of the Law on “Lawyers and Lawyers activity” of the Republic of Azerbaijan, the Bar Association of Nakhchivan Autonomous Republic was established by 8 lawyers on 9 April 2008. The authority to approve the Ethic Code for the lawyer, the official emblem of the lawyers and the design of the gown of the lawyers belong to the General Assembly (conference) of the Bar Association of the Republic of Azerbaijan under the Law of the Azerbaijan Republic on “Lawyers and Lawyers activity". The Ethic Code adopted by the members of the Bar Association of the Republic of Azerbaijan on December 7, 2017 also mandatory for the members of the Bar Association of Nakhchivan AR. 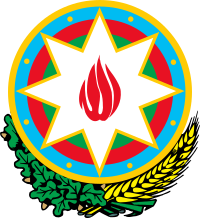 After the establishment, the General Assembly and the Presidium of the Nakhchivani Bar Association approved the Charter of the Bar Association, the Regulations on “Lawyers Qualification Commission", the Regulation "On the Lawyers Disciplinary Commission", the Statute on the Service Card of the Members of the Bar Association of Nakhchivan Autonomous Republic Rules and other documents were adopted, the Disciplinary and Qualification Commissions have been established, and the Scientific Advisory Council has been established. For the first time after the establishment of the Bar Association of the Nakhchivan Autonomous Republic, the entrance examination was announced on December 22, 2008, and then in 2013 and 2014 years. At present, the Bar has 21 members (two of them have been admitted to the civil service, and lawyer activities have been suspended). Out of these 6 members work in the towns and districts of the Autonomous Republic as individual lawyers out of the capital city Nakhchivan.